In this tutorial, we will build an awesome (it has a dashboard and chat feature!) 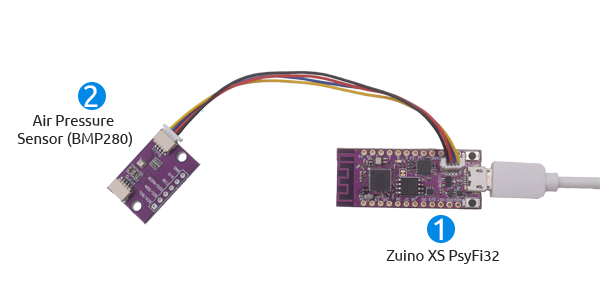 yet simple IoT weather station using the Zio's Zuino XS PsyFi32 and our latest incorporation to the Qwiic family, the Zio Qwiic Air Pressure Sensor! 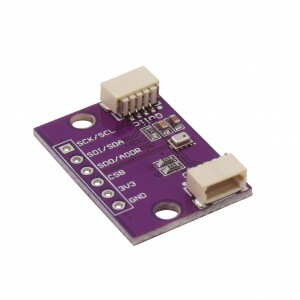 The board features a BMP280 sensor by Bosch that measures barometric pressure temperature, and it can be even used as an altimeter! 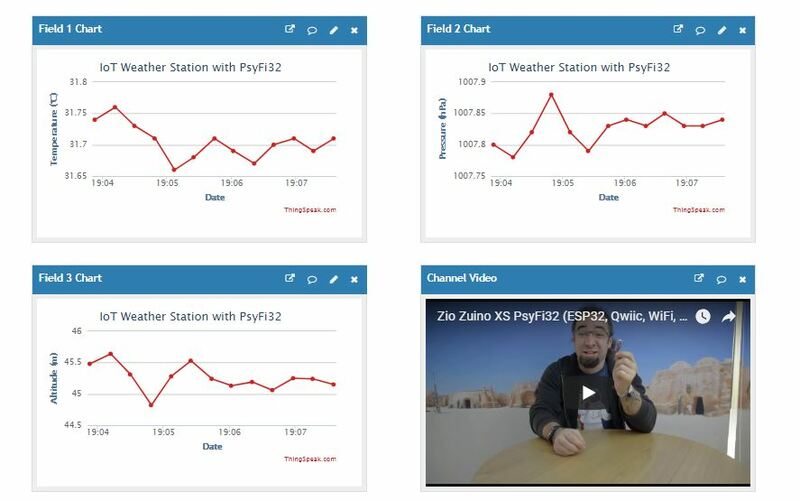 There are many weather station projects, but not many (or any that we could see) use the WiFi functionality of the Zuino XS PsyFi32 AND the Zio BMP280 sensor. The objective of this project is not just to build a weather station, but also to get started using the WiFi capabilities on the PsyFi32. The setup is pretty simple, just daisy chain the PsyFi32 and the Air Pressure sensor together. The good thing about Qwiic is that you don’t need a breadboard or a bunch of messy cables to connect the components! If you don’t have it yet, create an account at ThingSpeak. You will be required to enter your SSID and WiFi password before uploading the code. Go to the ThingSpeak Channel that you just created and click on API Keys. Copy the ‘Write API Key’ to the code (api_key string). You now have your own meteorological station! You can have a look at the Channel we set up for this tutorial here.